One entrepreneur decided not to grow vegetables or fruits like most farmers, but instead to grow furniture. A young man who worked as a gardener for a long time decided to invent a new way of earning money by deciding to grow and make his own handmade furniture. 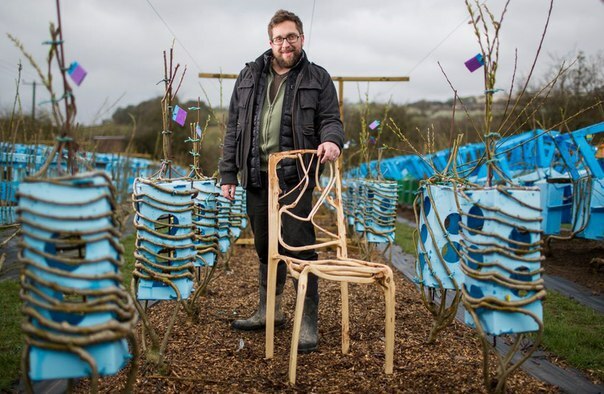 In his parents garden, one specific tree reminded him of a chair. Remembering this memory he decided that perhaps it was a more creative to grow a tree that resembles home furniture. After a patient period spanning over four to eight years, he finally succeeded in training the trees to resemble chairs. 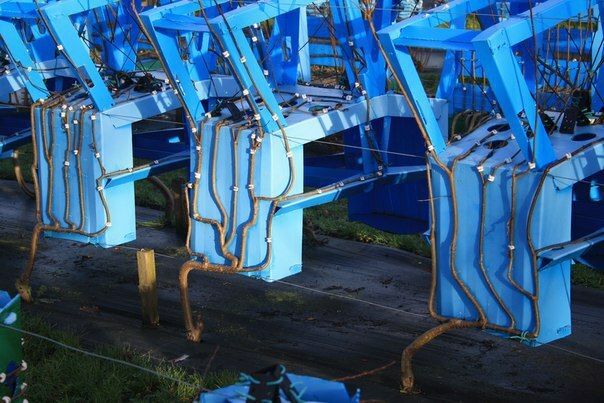 In order to impart the desired shaped trees, the trees are grow along specially built plastic chair frames to achieve the specific shape and bend. 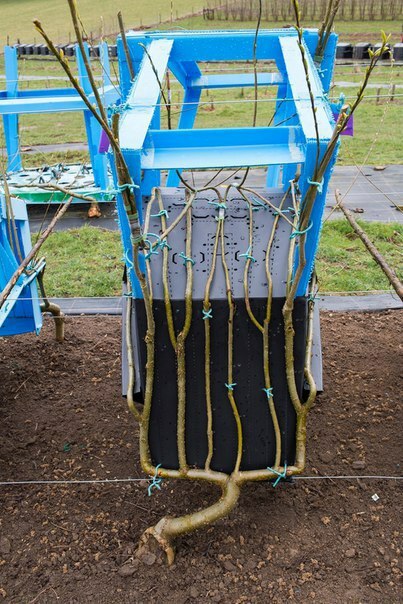 The outcome, a trees roots shaped like a chair that do not require any other material to strengthen. 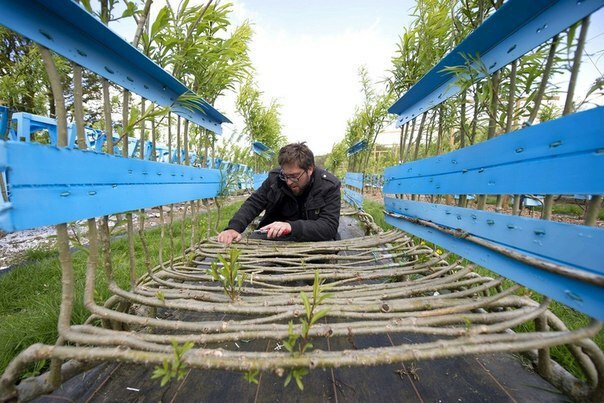 The farmer currently grows about 400 tables and chairs, making this furniture using trees of numberous varities including: willow, maple, walnut, sycamore and ash. Despite the fact products are simple, they are currently working on more complex designs including bookshelves and chest of drawers. 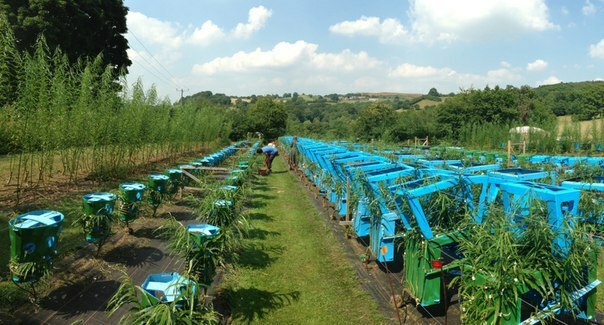 This production method is so ecological and practical that it has now been planned to start growing more furniture items on an industrial scale.